Aufnehmen, Veröffentlichen und Teilen von Video Presentationen - kinderleicht mit PresentationTube. PresentationTube war am 12. August 2012! als Giveaway verfügbar! PresentationTube bietet Ausbildern, Studenten und Geschäftsleuten einen Desktop-Präsentationsrecorder sowie ein Video-Sharing-Netzwerk. Das Tool beinhaltet eine Vielzahl visueller Hilfestellungen und synchronisiert Videos, PowerPoint Folien, virtuelle Tafeln und Whiteboards. Hochgeladene Videopräsentationen beinhalten scrollbare Vorschaubilder, die einen schnellen Zugang zu entsprechenden Videoinhalten ermöglichen. Darüber hinaus wird Interaktvität mit Hilfe von Facebook-Kommentaren und Selbsteinschätzungsquizzes ermöglicht - die Zuschauer werden aktiv integriert! Beispielsvideos von PresentationTube Recorder findet ihr hier. @impressumfehlt (und impressumfehlt_2): die Seite http://presentationtube.de gibt es gar nicht und auf http://presentationtube.net gibt es ein Kontaktformular und eine Vorstellung des Herstellers! @NeutralObserver: man kann doch ganz normal die Videos anklicken und dann öffnen, genau wie bei "Watch Showcases"!? @impressumfehlt (und impressumfehlt_2): die Seite http://presentationtube.de gibt es gar nicht und auf http://presentationtube.net gibt es ein Kontaktformular und eine Vorstellung des Herstellers! @NeutralObserver: man kann doch ganz normal die Videos anklicken und dann öffnen, genau wie bei "Watch Showcases"!? Nicht mal die hier oben offerierten Beispielvideos sind öffentlich. Auch der Link "Watch Showcases" auf der Anbieterseite führt bloss auf die Seite : http://presentationtube.net/userlogin/login.php, erfordert aber Username + Passwort. "Desktop-Präsentationsrecorder, Selbsteinschätzungsquizzes" - Herz was will man mehr? @Fisch: Warum diese SW negativ beurteilt wird - "Ausbildern, Studenten und Geschäftsleuten" - zu diesem Personenkreis zähle ich nicht und sag´ mir was ich mit diesem Tool anfangen soll... Genügt übrigens ein Blick nach rechts auf die Screenshots - Bilder sagen oft mehr als Worte... "Desktop-Präsentationsrecorder, Selbsteinschätzungsquizzes" - Herz was will man mehr? Der herstllerlink leitet auf die .de-Seite http://presentationtube.de, die weder Impressum noch anderweitige Kontaktinformationen erhält. Unseriös, wird von der Konkurrenz wahrscheinlich bald abgemahnt. Ich bekomme eine Malwarewarnung beim Dowmload ! Installation nicht möglich, weil Norton die heruntergeladene Datei als "gefährlich" einstuft und löscht ! Ich bekomme eine Malwarewarnung beim Dowmload ! Installation nicht möglich, weil Norton die heruntergeladene Datei als "gefährlich" einstuft und löscht ! Malwarewarnung beim Download dieser Software. "PresentationTube bietet Ausbildern, Studenten und Geschäftsleuten einen Desktop-Präsentationsrecorder sowie ein Video-Sharing-Netzwerk." Malwarewarnung beim Download dieser Software. "PresentationTube bietet Ausbildern, Studenten und Geschäftsleuten einen Desktop-Präsentationsrecorder sowie ein Video-Sharing-Netzwerk." + "3.ausschliesslich für privaten Gebrauch" widerspricht sich selbst ! Mal wieder Sonntag ? 151 Abstimmungen bisher negativ - wäre es SO zuviel verlangt, mal zu erfahren, warum die Software negativ beurteilt wird? Schon mal bedacht von den Superspezialisten, daß die Kommentare / Bewertungen für Andere hilfreich sein könnten eine Software zu nutzen oder nicht? Die Datei wurde direkt nach dem Download automatisch gelöscht (Malwaremeldung durch den Spywrapper verursacht) und wahrscheinlich auch weil das Impressum fehlt.Die Tube bleibt heute zu, entspannt zurück gelehnt und den sonnigen Tag genießen. Super - vielen Dank! Must be a brand new program since there is any review about it online and I've never heard about it so far. Looks like a nice app especially for those who use social networks on a daily basis.It can sync the audio to your video presentation enabling you to insert any kind of web content into it as well. Great tool for e-learning courses and business conferences. Must be a brand new program since there is any review about it online and I've never heard about it so far. Looks like a nice app especially for those who use social networks on a daily basis.It can sync the audio to your video presentation enabling you to insert any kind of web content into it as well. Great tool for e-learning courses and business conferences. THUMBS UP from me! 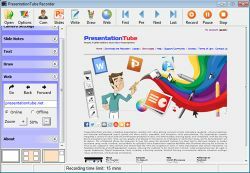 BEST FREE ALTERNATIVES: http://www.softpedia.com/get/PORTABLE-SOFTWARE/Multimedia/Video/Windows-Portable-Applications-CamStudio-Portable.shtml http://www.bbsoftware.co.uk/BBFlashBack_FreePlayer.aspx http://www.utipu.com/ http://www.video2down.com/index.php/documentation/87-capture-audiovideo Other nice FREE ALTERNATIVES, capable of creating great tutorials from screenshots and videos are the following ones: http://www.debugmode.com/wink/ http://www.techsmith.com/jing-features.html http://www.webinaria.com/record.php http://www.uvnc.com/screenrecorder/ http://goview.com/goldwyn/spring/play?method=indexPage As usual you can take your pick.... Enjoy!! 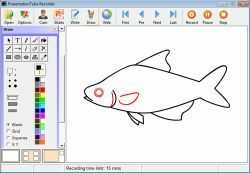 This is actually a very nice instructional tool and I like the fact that drawing, typing and web tools are all included. This makes the workflow and presentation creation a lot more efficient. There are, however, two issues which would keep me from buying this (free is OK, but if I am going to spend limited $$ on it...). 1. The PowerPoint requirement. If it doesn't accept OpenOffice or others, then the extra work of creating a ppt export and using player can lead to usage issues for some users. 2. The license, Terms of Service require that you MUST first upload to PresentationTube.net and the fact that they retain the right to the uploaded videos is highly suspect. "12. You retain the ownership rights to whatever you post to PresentationTube, however, PresentationTube has the right to re-publish or retain the video presentation on the server". Almost seems like the developers are trying to build an on-line school using their customers hard work and expertise without compensation. Just my 2 cents. Like I said, nice software over all, rate it 4 out of 5 stars except for the two issues. Thanks to the developers and GOTD! 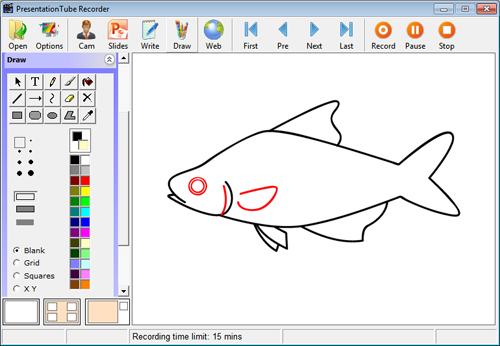 This is actually a very nice instructional tool and I like the fact that drawing, typing and web tools are all included. This makes the workflow and presentation creation a lot more efficient. There are, however, two issues which would keep me from buying this (free is OK, but if I am going to spend limited $$ on it...). 1. The PowerPoint requirement. If it doesn't accept OpenOffice or others, then the extra work of creating a ppt export and using player can lead to usage issues for some users. 2. The license, Terms of Service require that you MUST first upload to PresentationTube.net and the fact that they retain the right to the uploaded videos is highly suspect. "12. You retain the ownership rights to whatever you post to PresentationTube, however, PresentationTube has the right to re-publish or retain the video presentation on the server". Almost seems like the developers are trying to build an on-line school using their customers hard work and expertise without compensation. Just my 2 cents. Like I said, nice software over all, rate it 4 out of 5 stars except for the two issues. Thanks to the developers and GOTD! Sorry, I finally found it, the trial version allows you to record a 15 minute presentation only ! I THINK I need a clarification on this.. from THEIR website: "...to generate video presentations ready for uploading to PresentationTube network. The network allows presenters to publish their video presentations and...". I take note of "upload" to THEIR network. I would like to know EXACTLY what is happening, here. I THINK I need a clarification on this.. from THEIR website: "...to generate video presentations ready for uploading to PresentationTube network. The network allows presenters to publish their video presentations and...". I take note of "upload" to THEIR network. I would like to know EXACTLY what is happening, here.